Sparkle and shine! 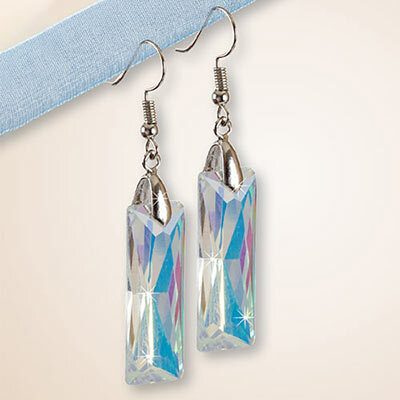 Set the night alight with these glittering prism earrings. Large faceted rectangles have an iridescent finish and cast rays of light and color in the sunlight. Silver-tone setting. French wires. 2½"l.